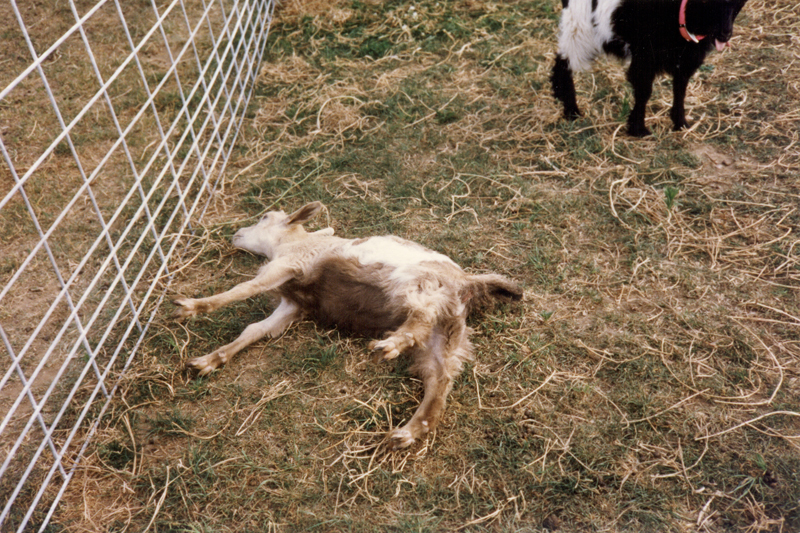 "Fainting goats?" you ask. "This must be a joke!" "No," I reply, "they are definitely real." 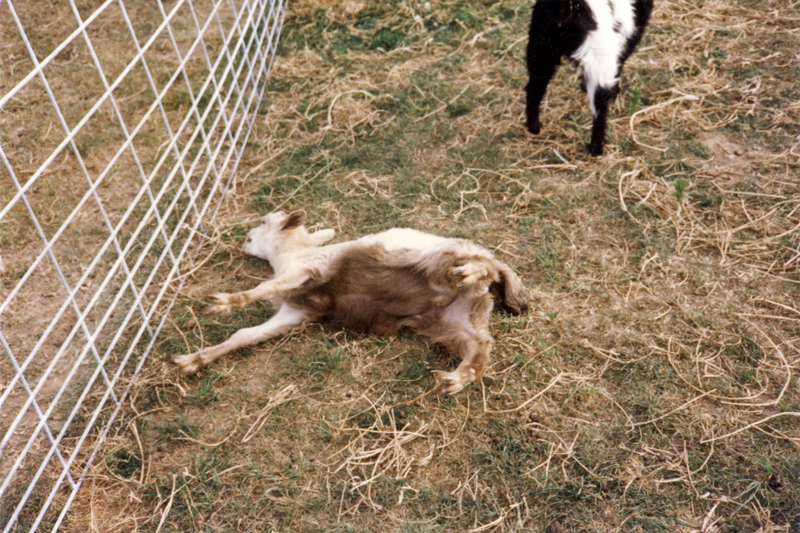 Fainting goats are a slightly smaller version of the standard goat, who, believe it or not, thanks to a genetic condition called myotonia congenita, actually seem to faint when they are startled. As strange as this may sound, these little critters have actually served an historical purpose. Shepherds often kept the goats in with their flocks as insurance in case of predator attacks. The theory went something like this- as wolves would come down from the hills to attack a flock of sheep, the goats would become startled and, as per the name of their breed, they would faint. The sheep would make a clean getaway, as the wolves would focus on the stunned goats rather than pursue the fleeing sheep. 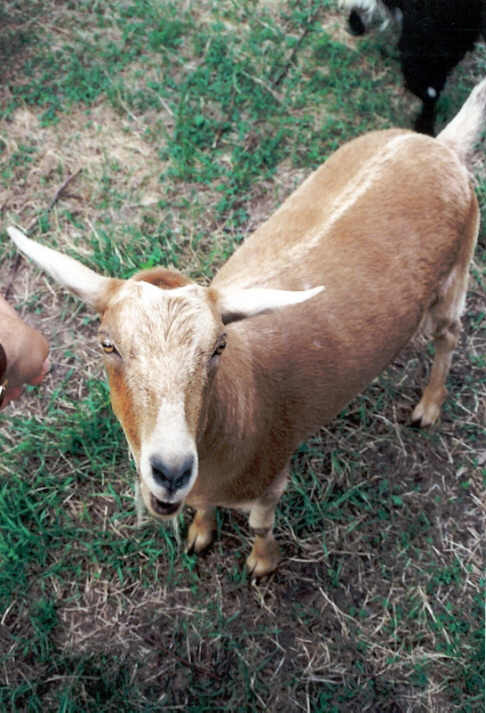 Not that wonderful if you were one of the goats, sure, but downright dandy if you happened to be a sheep. 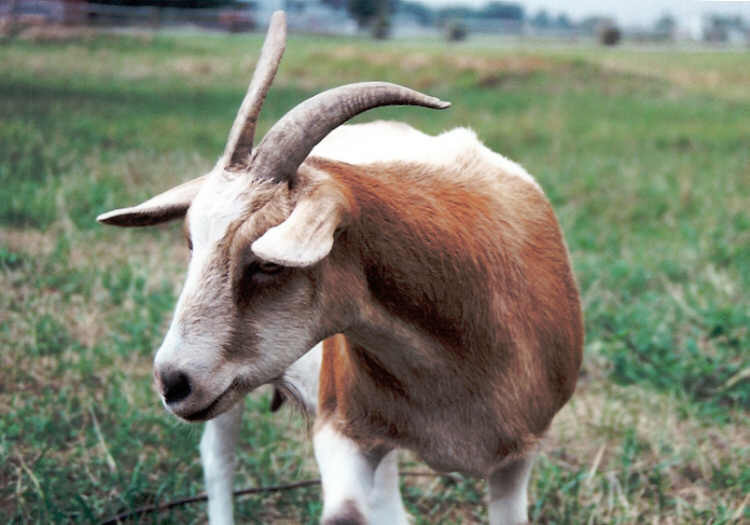 This breed has several names- the most common are Myotonic, Tennessee Fainting, Nervous, and Scare goats. 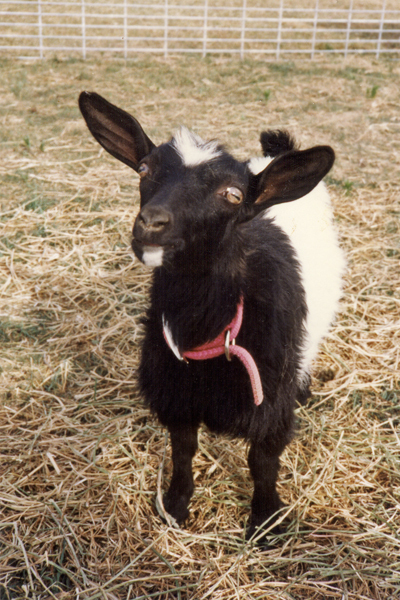 The names refer specifically to myotonia congenita, a condition in which the muscle cells experience prolonged contraction when the goat is startled. 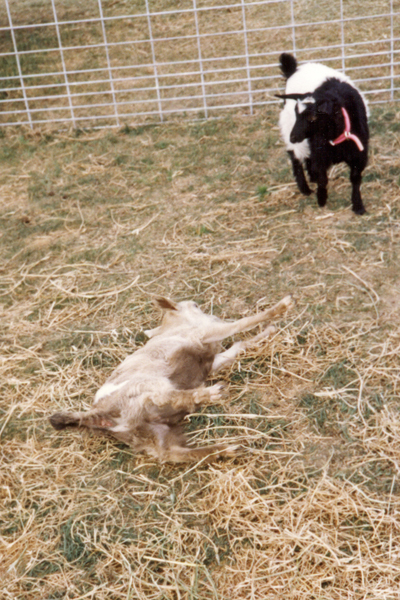 The transitory stiffness associated with these contractions can cause the goat to stop moving, stiffen, and even fall down. This is not a true faint, but a muscular phenomenon unrelated to the nervous system. 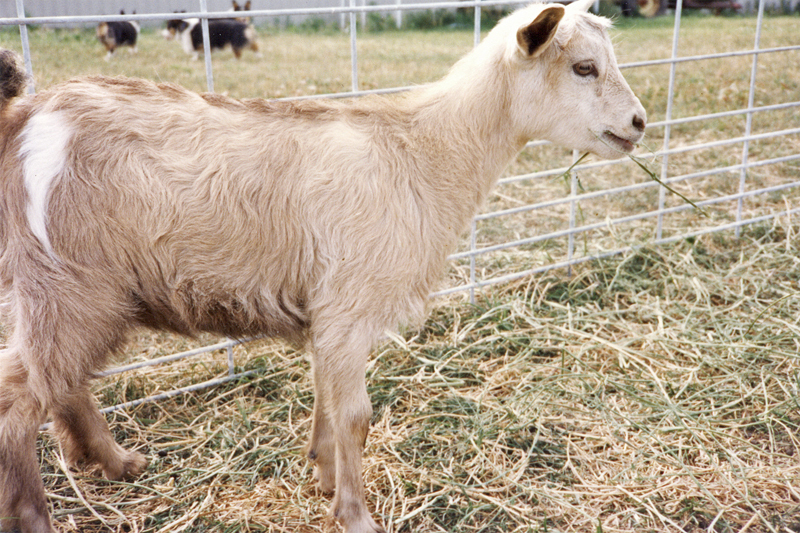 The actual degree of stiffness may vary widely from goat to goat and is based on a number of factors, including age, species purity, and degree of fright. The breed's recorded history (or at least as much of it as I can find) reaches back to the 1880's, when a migrant worker named John Tinsley brought four of them to Tennessee. Not much is known about Tinsley, though he is reported to have come from Nova Scotia. The breed soon became popular throughout the region, thanks to three major factors: 1) they were less prone to climbing (and therefore escape), 2) they had a higher degree of muscularity than their non-fainting relatives (and thus would make a better dinner), and 3) high reproductive rates (typically two or more to a litter). The breed has gained popularity in recent years (especially evidenced by the number of emails I receive from interested students, TV news shows, and people who have lost bar bets), with two major trends developing amongst breeders. The first, a more traditional approach, emphasizes the meat qualities of the animals and selection based on growth rate and reproductive efficiency. 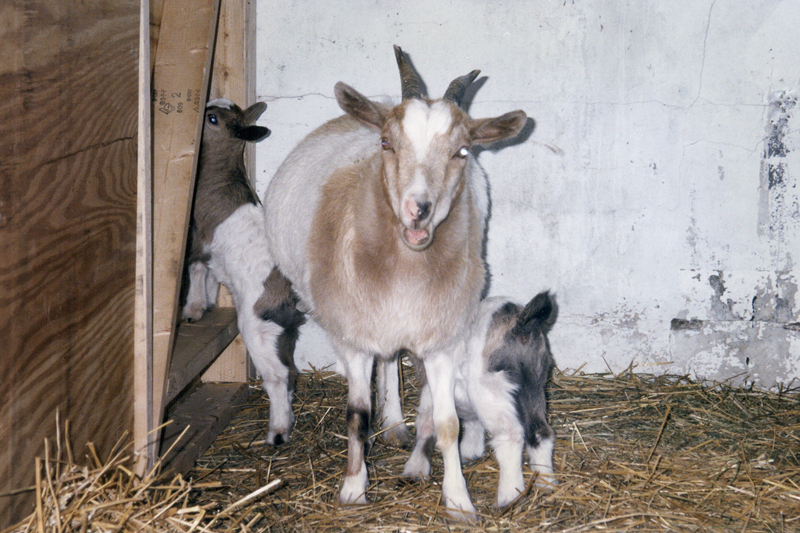 The other trend emphasizes the "novelty" aspect of the goats, focusing almost exclusively on stiffness and small size. "Simply fascinating!" you cry. "But what does this have to do with 'The Man, The Homepage'?" The answer: well, a decent bit. You see, Jim's stepdad Andrew ("Don't Call Me 'Andy'!") whimsically purchased three of the critters, two of whom later had babies (leaving the family with a total of 6 of the little darlings), and they are the talk of the household. Aren't they cute??!!? 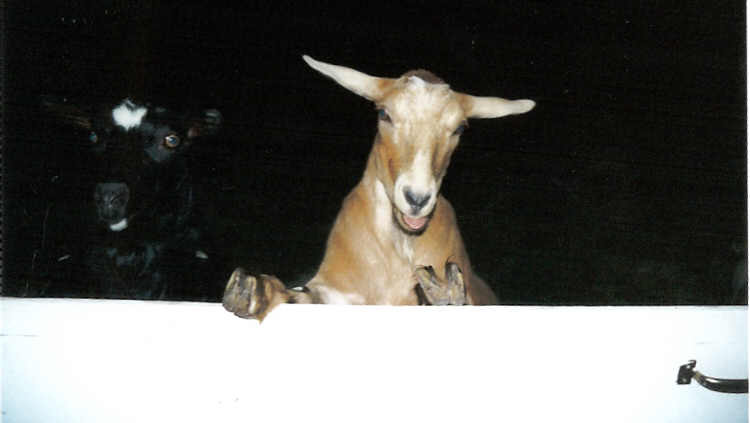 As the photograph at the top of this page and those immediately below demonstrate, sudden frights can cause the goats to "faint". 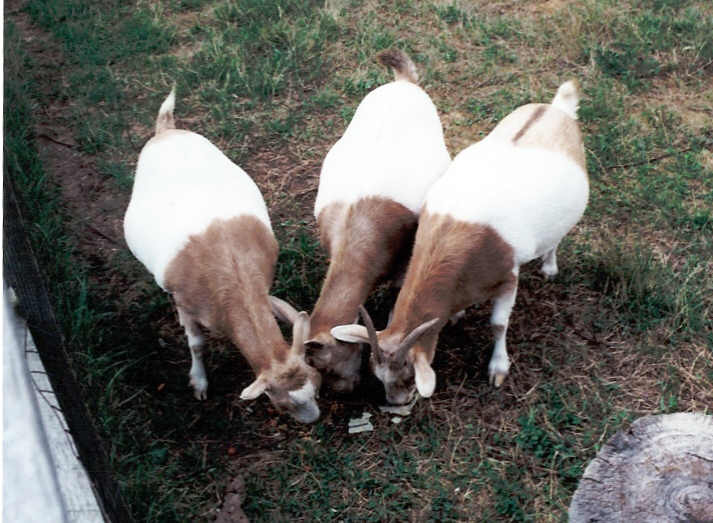 More commonly, the goats merely stiffen in place for a moment, then resume whatever goatly activities they had been engaged in prior to being startled. The intensity of the "faint" varies with the intensity of the fright and the age of the animal. Q: Do they really faint? A: They "faint" by all outward appearances, though there is considerable variation in intensity. 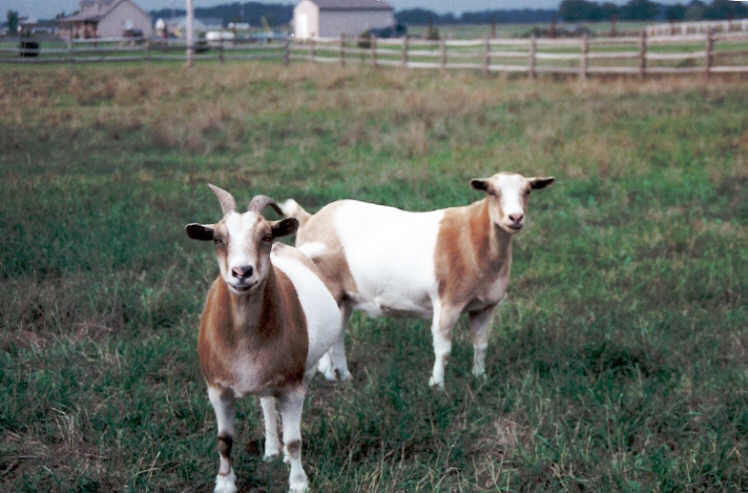 If they are only mildly startled, the goats may simply "freeze up" for a moment or two; if the fright is more intense, they will actually fall over and take on a rigor-mortised appearance (see the photo at the top of this page). However, they actually remain conscious throughout. 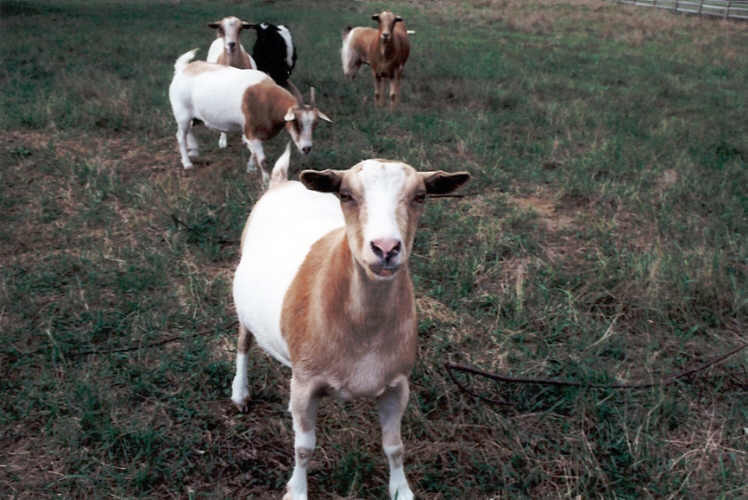 Q: How can I find fainting goats to purchase? A: Contact your state's Cooperative Extension office, usually run out of a major university (typically the leading agricultural university in the state; in Michigan, it's Michigan State University). They are likely to have breeder lists and other useful information. 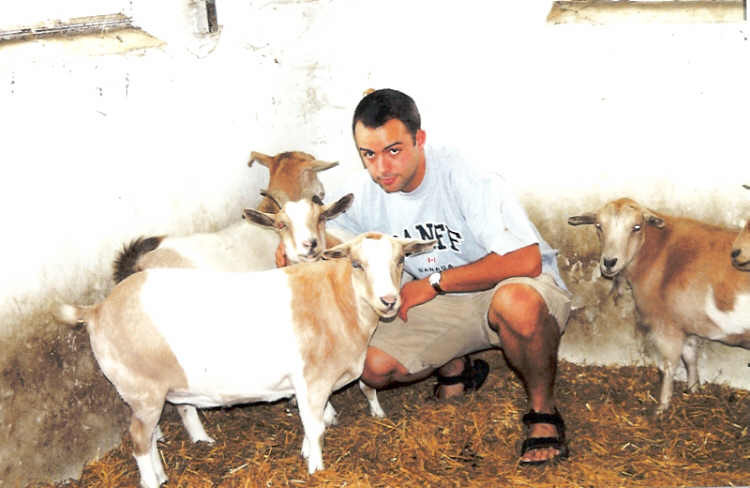 Or, check out (and I swear I am not making this up) goatfinder.com. A: Price varies greatly and depends on many things, including age, gender, area of country, etc. Typically, you can expect to pay anywhere between $300 and $600 for a fainter. 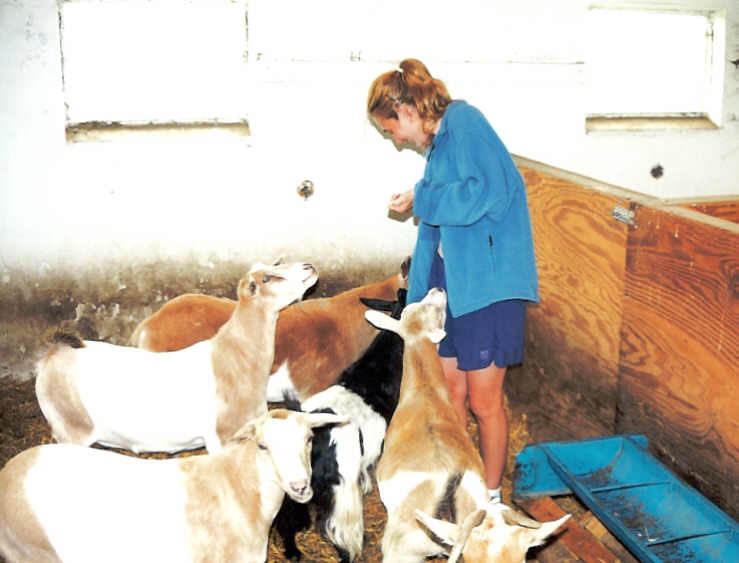 Q: Are you (or anyone you know) selling any fainting goats? 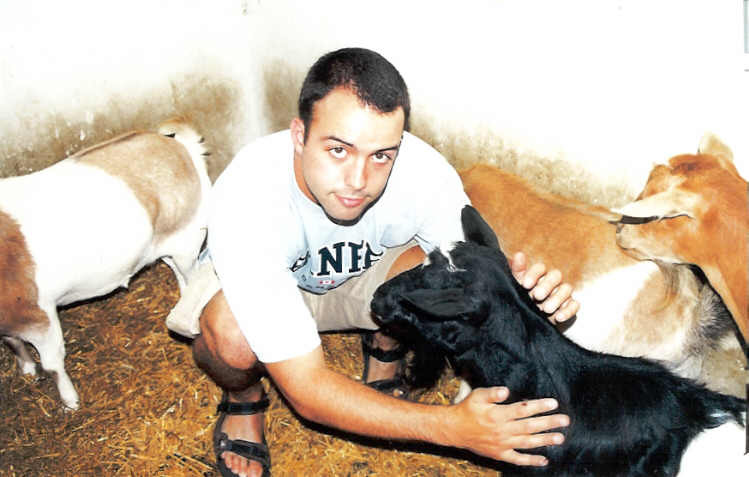 Q: Are you some kind of goat expert? A: Actually, no. My stepfather keeps them as pets; I occasionally get to babysit them. However, this page has generated huge responses in the thirteen years it has been in existence, so I have learned quite a bit about them in order to answer the queries of surfers like you. 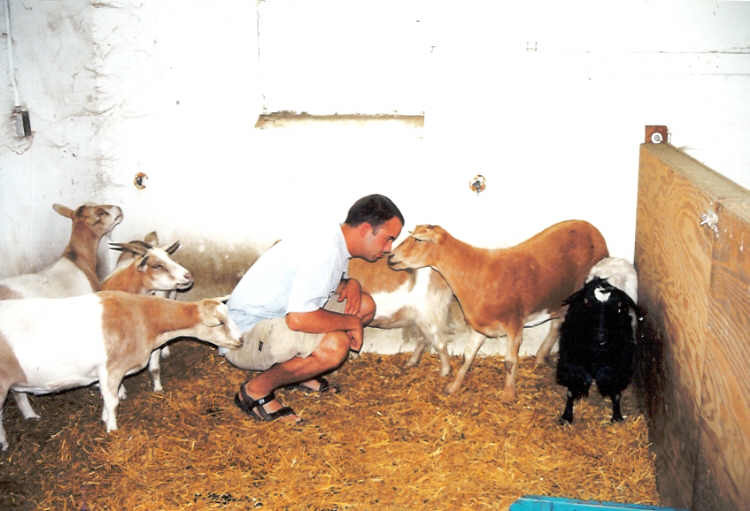 Q: Okay, then, where can I find some sort of goat expert? 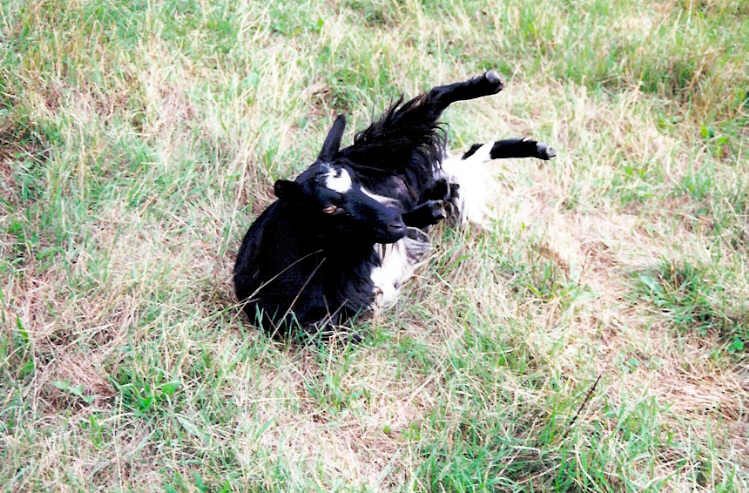 A: You can try the International Fainting Goat Association. Another option is the American Livestock Breeds Conservancy. Q: What do they like to eat? 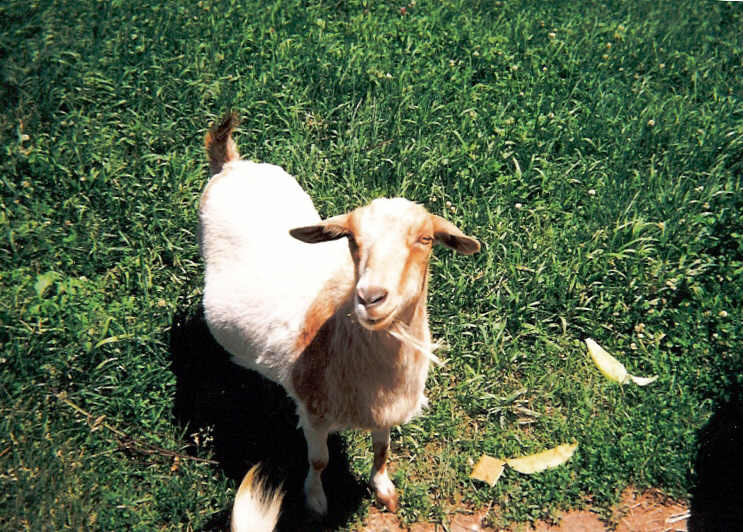 A: Like other goats, they will eat pretty much anything. Standard hay and grain supplements work fine. As a special treat, ours really enjoy graham crackers. Don't ask me why. 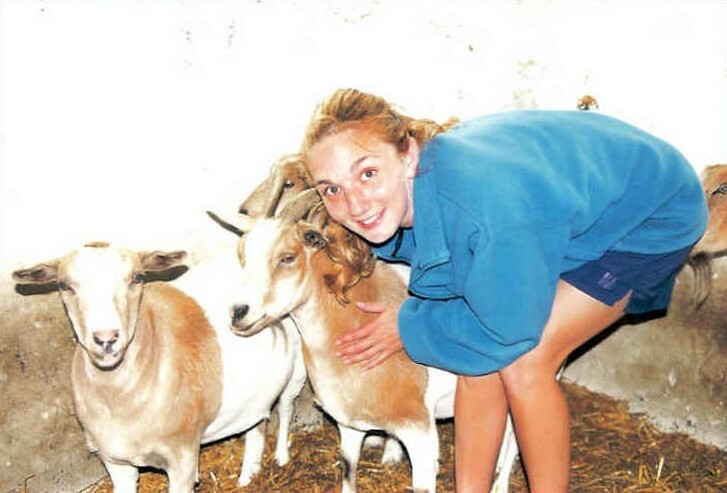 Q: Where can I register my fainting goat? 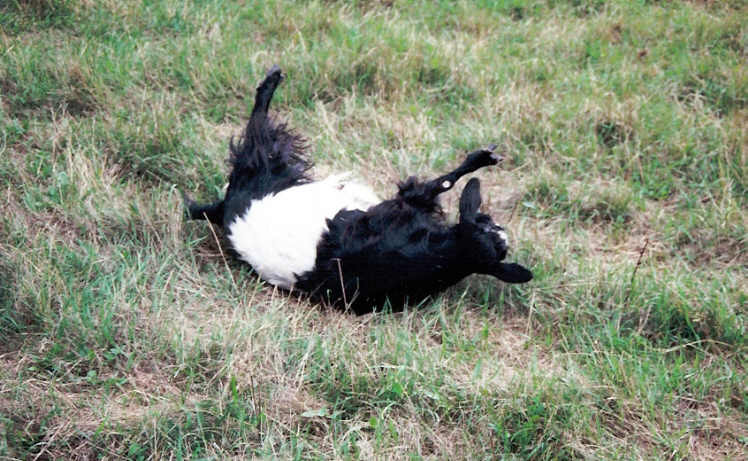 A: You can register a fainting goat by contacting the International Fainting Goat Association. This site was created in Spring 1997 and has been visited times since August 21, 2001. The Homepage of James C. Knapp, Jr./ jimknapp78@jimknapp.us/ Last modified 5 February 2010.